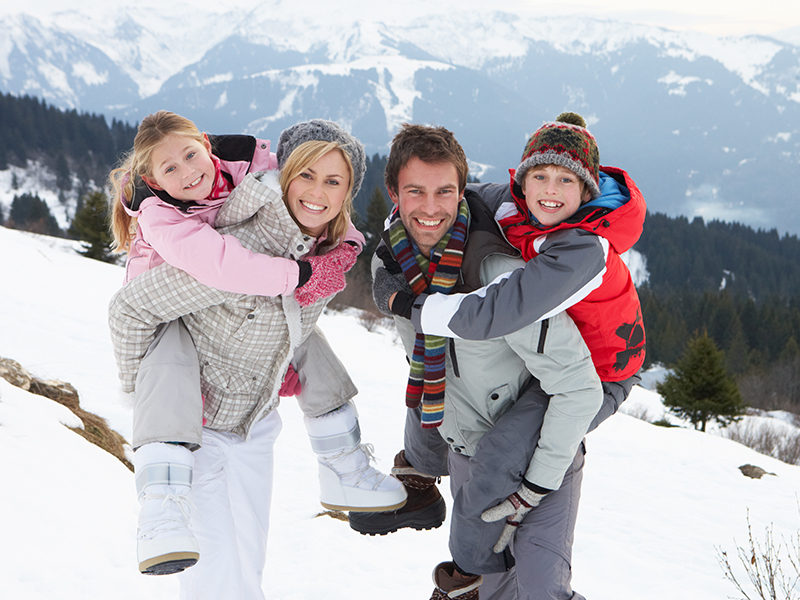 Enjoy family time and off-piste skiing with a mountain guide, a great day ! Méribel mountain guides will be happy to introduce you to off-piste skiing and ski touring with your children: Vallon du Lou, Béranger, Dos de Crest Voland, les Avals and many more. We’ll take it easy and enjoy a cool day to the rythm of your family ! 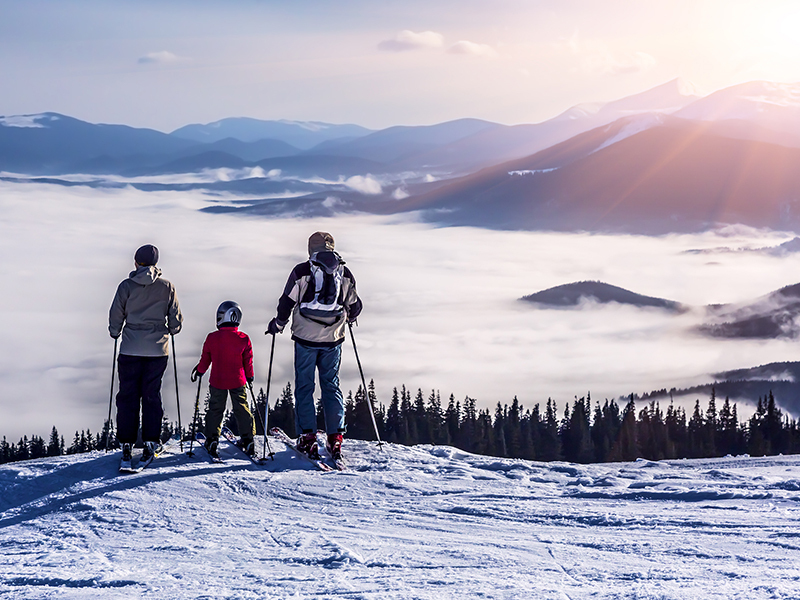 Learn off-piste skiing tips and safety behavior in a good mood, enjoy wilderness, and taste the pleasure of powder: what else ? If the weather is nice we’ll have a picnic for lunch in nice and wild spot, or enjoy a warm meal in a restaurant if you prefer. Join us and have a great time with your kids ! Required ski level/age: 12 years old and/or black slope skiing. Good slopes, good food: a good programme… Why not for me too? 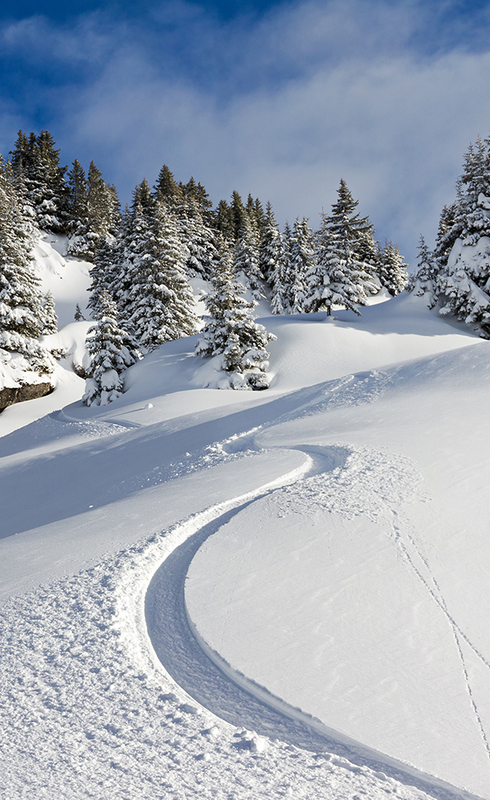 Ski off-piste + 3 Valleys = 2 reasons to explore this exceptional resort! With the Meribel guides, off-piste touring, and the classic routes of Bellevilles, Meribel or Courchevel. After a great morning spent skiing secret slopes where we leave our tracks far from everything, a delicious meal, in a carefully chosen venue, will reinvigorate us. The return to Meribel in the afternoon will be far off the beaten track. The purest skiing pleasure awaits us! And, if you are a little apprehensive, we can help you to adapt and improve to overcome this feeling. We might walk for half an hour (more or less!) to discover a more remote valley where the skiing is better. In Practice: This ski off-piste day is offered to all skiers of class 3 ability and above with wider skis adapted to powder. Before setting off, your guide will provide the necessary safety gear: the indispensable trio of “shovel, probe and avalanche beacon”. You should bring a small backpack with a bottle of water and snacks. We can lend you a backpack if needed. Ski level required : black slope.